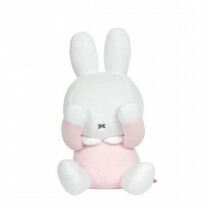 These Peek-a-boo soft toys from the French brand Pioupiou et Merveilles play hide and seek with baby. Oscar the Cat is a zen soft toy, looking for positivity. This cuddly soft toy will confort baby when comes the time to sleep. 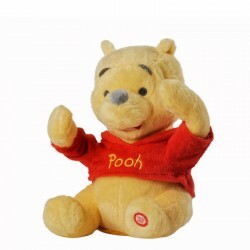 Here comes Winnie, the famous food lover from the cartoon Winnie the pooh, playing peek-a-boo with baby. Winnie's arms come to life hiding his eyes, and all the magic of Disney comes to you when Winnie starts talking and laughing with his real voice! 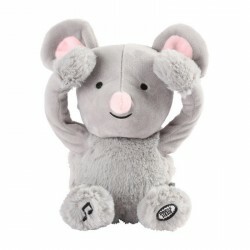 The adorable soft toy Noemie the Mouse plays hide and seek with you child. New: a second button to press and Noemie plays a lullaby for quiet moments. Peek a boo soft toy Simeon the Sheep is a very cuddly sheep. 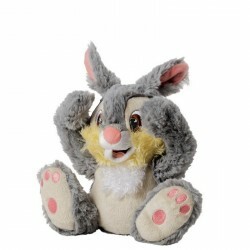 Its fluffy belly makes it a perfect buddy for baby's cuddles.Collection Les doux Bidous. 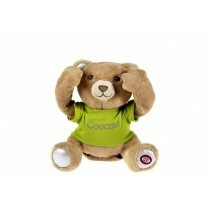 A cute teddy bear to play peek-a-boo.Pioupiou's asset : 1 squeeze will lauch 30 second of guaranteed laughter ! 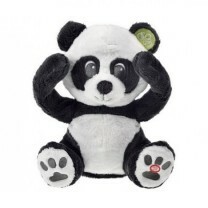 In the Peek-a-boo family, here is the Panda! He plays peek-a-boo with baby.Pioupiou's asset : 1 squeeze and still 30 second of guaranteed laughter ! In the Coucou Family, here is the Teddy bear in its new size Mini to play peek-a-boo with baby!Still as fun, and so more cute! 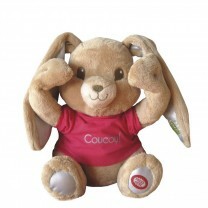 Pioupiou launches the famous Coucou Rabbit in mini version ! Always so funny, even more cute !